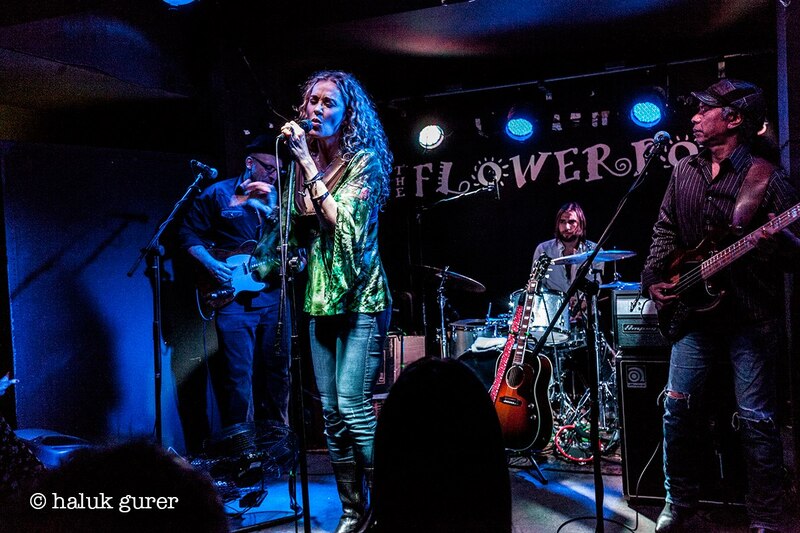 Dana Fuchs from New York has played some British Blues festivals in the recent past including Newport but the gig tonight was part of her first UK tour as a headline act. Dana Fuchs proved to be a real force of nature with a dynamic backing band. Those present at the gig witnessed something really special. From the moment she stepped out on stage until the end of the gig Fuchs had the crowd eating out of her hand. The set was a mixture of gutsy blues/rock with elements of country and soul. She really is a versatile singer. Highlights of the set included Bliss Avenue, Handful Too Many, Livin' On Sunday, the very moving So Hard To Move, Nothin' On My Mind, a stunning version of The Beatle's Don't Let Me Down and her song Set It On Fire. There was no let up, Fuchs is a real bundle of energy who worked the crowd and got them singing along. A stunning cover of Eta James' I Rather Go Blind and the fantastic Keep On Walking featuring a bass solo incorporating Fleetwood Mac's Albatross and a drum solo closed the show. Fuchs returned for an encore comprising an emotional take on Johnny Cash's Ring Of Fire before closing with her own Rodents In The Attic. Every so often a performer comes along who mesmerises the listener with their performance and Fuchs is one of those musicians. She is a breath of fresh air, a real talent and is well worth checking out.